Women and our allies have made irrefutable progress in the fight for gender equality in most countries of the world – but equality is still a long way off, as strong structural and social obstacles persist worldwide. Such obstacles affect women in all areas of life from access to education and health care to sexual and reproductive rights and democratic participation in society. The lack of women in positions of power and decision-making on a local, national and international level is both an issue within the LGBTQI (lesbian, gay, bisexual, trans, queer and intersex) movement and society in general.Within the LGBTQI movement the interest of masculine cis-men has long been at the top of the agenda. Mainstream advocacy and policy-making for gender equality have treated women and girls as a homogenous group for a long time, centering on white able-bodied heterosexual women’s issues, making the challenges of women from particularly vulnerable groups invisible and ignored. Although improvements have been made, it is evident that there are barriers to the participation and visibility of lesbian, bisexual, trans and intersex women (LBTI) both in society in general and in the LGBTQI movement. Unless women can set the agenda for what issues are important, the patriarchal structures upholding gender inequality will remain. Throughout the years we have been able to change gender norms and power structures. By using norm criticism and an intersectional approach, we can find ways to further change power dynamics on all levels of society. IGLYO believes that in taking action in solidarity we will create a better world together. 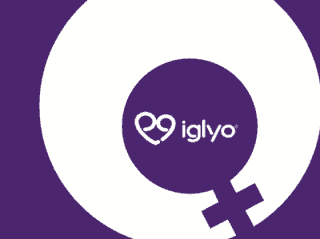 IGLYO is attempting to address some of the very real issues which are often left unheard. Although women worldwide struggle against the patriarchal system, some women are more likely to face injustice, violence, discrimination and other forms of maltreatment. Some of the most badly affected are transwomen. Within this group, people of colour are overrepresented. The organisation Transgender Europe (TGEU) registered 271 murders of transgender people in the world between October 1st 2014 and September 30th 2015. The violence faced by transgender people is often incredibly brutal. The majority of those who are killed are young people between the ages of 20 and 29 but people as young as 13-14 years old have also faced fatal violence. Activist Jen Richards has claimed that the life expectancy of a transgender woman of colour is 35 years . The oppression of women in general is also aggravated for other groups of women and in specific situations. Women refugees and asylum seekers face exacerbated levels of violence, specifically sexual violence, both in times of armed conflict and oppressive societies, and when fleeing from armed conflict or persecution. Less women than men are able to flee from persecution and armed conflict because of the specific gender related dangers in travelling. For young women this is even more true. Violence targeting women does not end upon arriving to the destination country to seek asylum.. The reports on LGBTQI refugees and asylum seekers facing violence in detention centres have caused debates in several European countries where LGBTQI organisations are calling for specialist centres, as asylum seekers continue to face violence and discrimination where they are supposed to be protected. These issues have gained further relevance as the number of refugees seeking asylum in Europe has been increasing rapidly. The LGBTQI movement needs to be strong and to prioritise the needs and issues of its most vulnerable members. IGLYO emphasizes that these particular needs, challenges and consequences are of even more concern when faced by young LBTQI women and girls. The weight of violence and discrimination together with the responsibility to end it is often left to be “fixed” by those who experienced it. This day gives us the chance to remember that patriarchy oppresses us all but operates distinctly on the basis of how such this system reads our bodies and identities. This day is one to remember and recommit to one another. The struggle for women’s rights and to attain gender equality is not separate from the struggle for LGBTQI rights or the struggle against racism and ableism. To achieve change we can work together with feminist and women’s rights organisations as well as anti-racist organisations and networks using an intersectional and norm critical approach. We are fighting aspects of the same system of power. Through acknowledging our own flaws and facing the work ahead with collective and resolute actions we will realise our vision of a better tomorrow. UPDATE: a new resource was sent to us for publication. Women are confronted with unique challenges regarding mental health, addiction and stigmas that often act as a barrier to receiving the treatment and help they need. While there are many unique addiction and mental health resources available for women, none of them are comprehensive and specifically tailored to addiction among women. After research across the resources available on the web, the AAC team noticed the absence of a centralized resource designed to help understand the basics of mental health, alcohol use and addiction within this demographic and offer guidance on navigating support systems. They decided to fill this gap of knowledge.